YG Entertainment is gearing up to debut a new girl group, following the debut of 2NE1 which occurred 7 years ago. OSEN reported on May 18th that the countdown for the new girl group will commence soon. YG's representative Yang Hyun Suk recently met with several music video directors to discuss the recording for the upcoming group. 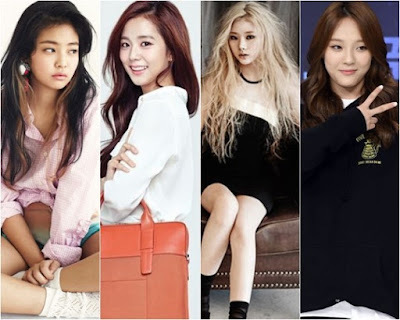 Officials from the company later confirmed the news, stating the currently unmanned girl group will debut in July 2016, although no specific dates have been stated. The new group is highly anticipated since rumors began years ago of its debut. Potential members of the group have already surfaced. These trainees have already appeared in various music videos and songs. They are Jennie Kim (G-Dragon "Black"), Kim Jisoo (Epik High "Happen Ending" MV, Producer), Jang Hana (Jinusean "Tell Me One More Time") and Moon Sua (Unpretty Rapstar 2). 2NE1 debuted in 2009, which means it's 7 years ago we saw a new girl group from the company. The anniversary was celebrated on May 17th. BIGBANG debuted in 2006 with the two other boy groups, WINNER & iKON, debuting in 2014 and 2015, respectively.